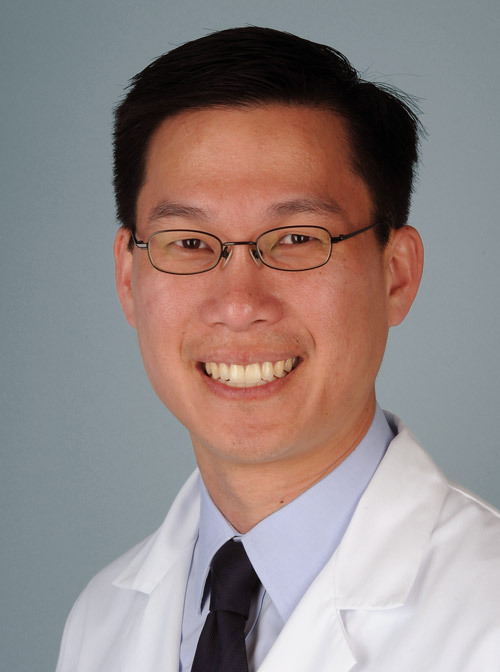 Dr. Leung is employed by Penn Medicine. Nishiguchi M.A., Spencer C.A., Leung D.H., and Leung T.H. : Aging suppresses skin-derived circulating SDF1 to promote full-thickness tissue regeneration. Cell Reports 24 (13): 3383-3392,2018. Siprashvili Z, Nguyen NT, Gorell ES, Loutit K, Khuu P, Furukawa LK, Lorenz HP, Leung TH, Keene DR, Rieger KE, Khavari P, Lane AT, Tang JY, Marinkovich MP: Safety and Wound Outcomes Following Genetically Corrected Autologous Epidermal Grafts in Patients With Recessive Dystrophic Epidermolysis Bullosa JAMA 316 (17): 1808,2016. Leung TH, Snyder ER, Liu Y, Wang J, Kim SK: A cellular, molecular, and pharmacological basis for appendage regeneration in mice Genes Dev 29 (20): 2097-107,2015. Gorrell, E.S., Leung, T.H., Khuu, P., Lane, A.T.: Purified Type I collagen wound matrix improves chronic wound healing in patients with recessive dystrophic epidermolysis bullosa Pediatr Dermatol. 32 (2): 220-5,2014. Sebastiano, V., Zhen, H.H., Derafshi, B.H., Bashkirova, E., Melo, S., Wang, P., Leung, T.L., Siprashvili, Z., Tichy, A., Li, J., Ameen, M., Hawkins, J., Lee, S., Li, L., Schwertschkow, A., Bauer, G., Lisowski, L., Kay, M.A., Kim, S.K., Lane, A.T., Wernig, M., Oro, A.E. : Human COL7A1-corrected induced pluripotent stem cells for the treatment of recessive dystrophic epidermolysis bullosa Science Translational Medicine 26;6(264):264ra163 : 2014. Danial, C., Tichy, A.L., Tariq, U., Swetman, G.L., Khuu, P., Leung, T.H., Benjamin, L., Teng, J, Vasanawala, S.S., Lane, A.T.: An open-label study to evaluate sildenafil for the treatment of lymphatic malformations J Am Acad Dermatol S0190-9622(14)01119-0 : 2014. Leung, T.H., Zhang, L.F., Wang, J., Ning, S., Knox, S.J., Kim, S.K. : Topical hypochlorite ameliorates NF-κB-mediated skin diseases in mice The Journal of Clinical Investigation 123 (12): 5361-70,2013. Covert, M.W., Leung, T.H., Gaston, J.E., Baltimore, D.: Achieving stability of LPS-induced NF-kB activation Science 309 (5742): 1854-7,2005..
Leung, T.H., Hoffmann, A., Baltimore, D.: One nucleotide change in a kappa B site can determine cofactor specificity for NF-kB dimers Cell 118 (4): 453-64,2004. Hoffmann, A., Leung, T.H., Baltimore, D.: Genetic analysis of NF-kappaB/Rel transcription factors defines functional specificities EMBO J 22 (20): 5530-9,2003.